Photo Name Badges offer a higher level of security and identification. In many industries customers prefer that employees are properly identified. Let us manufacture an ID photo badge that best works for your field tech’s, sales team or any employees requiring a higher level of ID. 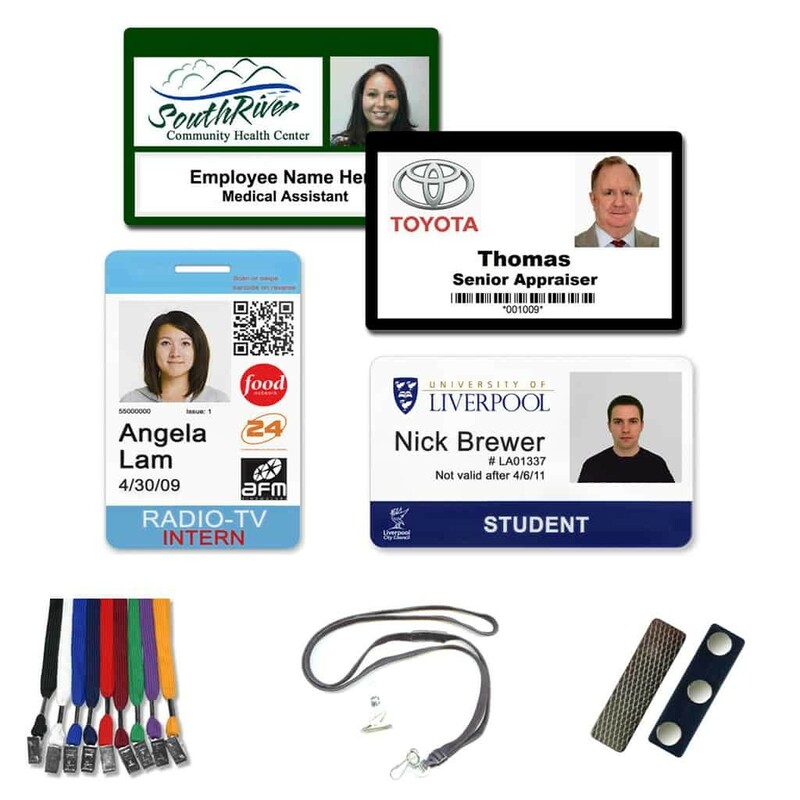 Our photo ID badges may be ordered with Lanyards, Magnetic holders, Pins, or swivel clips. Keep in mind we are happy to include Company logos, Seals, Merit symbols, Club emblems and many other types of images. Need idea’s ? Scroll down this page and see our common template’s. 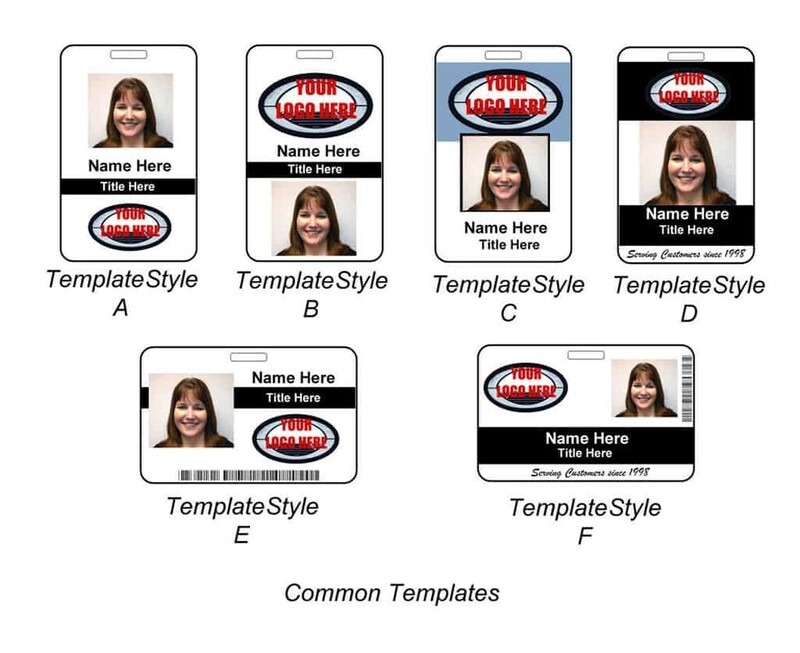 TO START THE PROCESS PRINT OUT OUR PHOTO ID BADGE DESIGN FORM OR REFER TO A TEMPLATE STYLE.